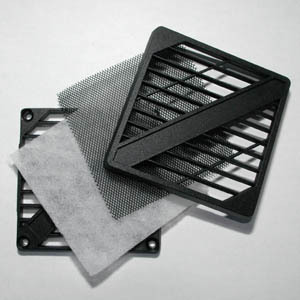 4 piece fan filter kit as used on our projectors this kit comprises of fixed section that is permanently fixed to the fan, a fine filter pad and a gauze large particle filter which are held in place with the clip on outer cover. 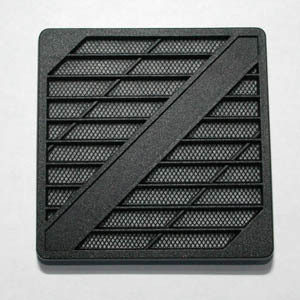 Nice 4 piece set, the detachable filter makes cleaning or changing the filter a doddle. Quick shipping and nicely packed.